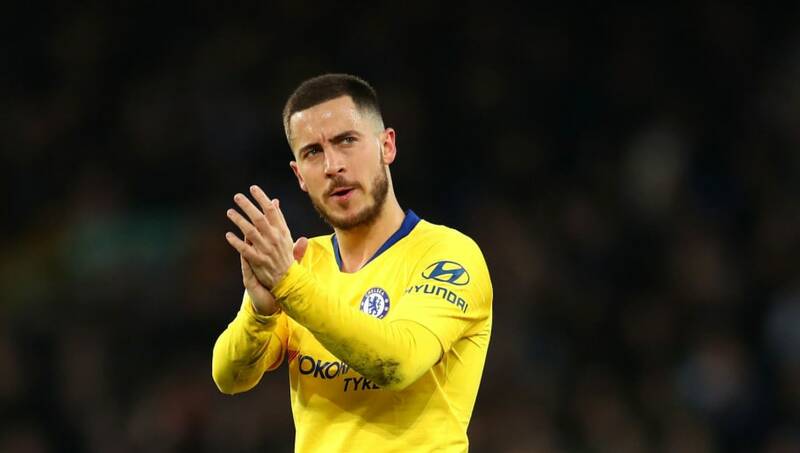 Chelsea are looking to get at least €115m from Real Madrid for star forward Eden Hazard this summer, having already turned down an €82m bid, but a deal looks "inevitable". The Belgian has 16 goals and 11 assists across competitions this season, the latter of which have all come in the Premier League - a chart-topping total, where he also sits in chances created and successful dribbles. The links with ​Los Blancos have been a constant for over a year, and Hazard has continuously flip-flopped between pledging allegiance to Chelsea and Los Blancos throughout this season. And Madrid's recent re-appointment of Zinedine Zidane, an ardent admire of the 28-year-old, and an idol of the player, has only increased rumours of a switch. According to Belgian publication ​Het Laatste Nieuws, the Blues are almost resigned to losing their star man now, setting a €115m target on his head after turning down a reported bid of €82m that was the product of talks between a Spanish delegation and the club last week. According to these reports, the European champions are not too keen on digging into their reserves for that sum as it stands, but there is plenty of time for negotiation and they are now aware of the player's desire to move, making a deal "inevitable". Man United have "no plans" to try and sign Gareth Bale this summer! Despite all this, there still remains a difficulty in asking Hazard these questions head-on, with a journalist recently resorting to a more detached method. “Look, I have a friend who has been playing in the ​Premier League for seven years," he explained. "At a club that plays in blue. He has won everything there and he is ready for a new challenge. He is now in the interest of another club, one in a white outfit. What would you recommend to this boy?" But Hazard remained resolute, merely replying: "Well, buy that friend a white shirt." The problem for ​Chelsea fans seems to be that these white shirts will be available with the Belgian's name on the back all too soon.